A climber sets out at 8 a.m. from sea-level, reaching his goal, a 2,000 metre peak, ten hours later. He camps at the summit and starts his return the next morning at 8 a.m. After a leisurely descent, he is back at sea-level ten hours later. Is there some time of day at which his altitude is identical on both days? Try to answer this before reading on. Tap any number into your calculator. Yes, any number at all, plus or minus, big or small. 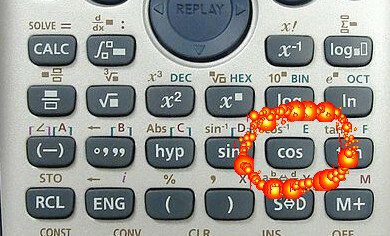 Now tap the cosine button. You will get a number in the range [ -1, +1 ]. Now tap “cos” again and again, and keep tapping it repeatedly (make sure that angles are set to radians and not degrees). The result is a sequence of numbers that converge towards the value 0.739085 … . A simple application of vectors yields valuable new wind observations for weather forecasting [see this week’s That’s Maths column (TM065) or search for “thatsmaths” at irishtimes.com]. The air speed is A (blue), the wind speed is W (black) and the ground speed is G (red). 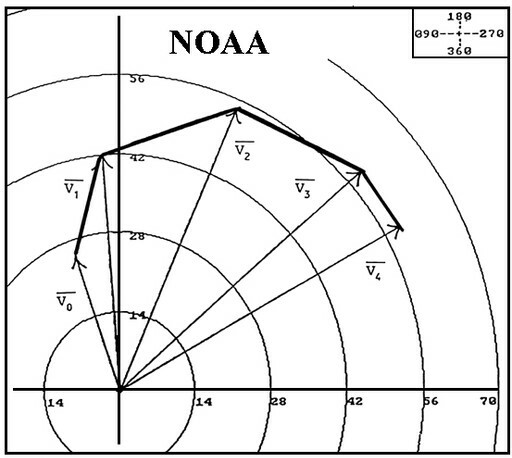 Since the ground speed is the resultant (vector sum) of air speed and wind speed, a simple vector subtraction gives the wind speed: W= G – A.